With the festive season in full swing, our favorite brand Maybelline has come with quite a few tempting launches to make sure we look our best for all the upcoming festivals. 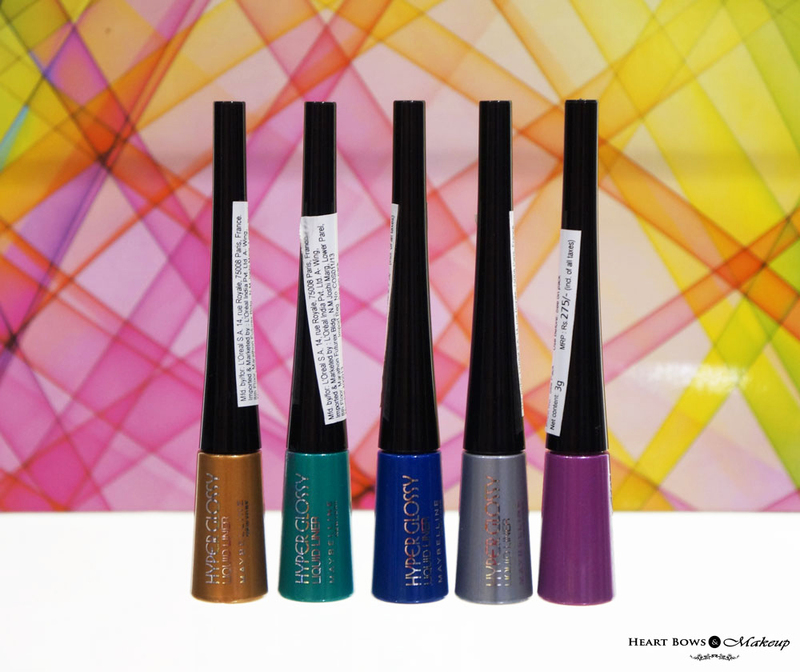 Besides the new Color Show Lipsticks they also launched the amazing Hyper Glossy Liquid Eyeliners in gorgeous metallic shades which are perfect for the upcoming festivities and parties. 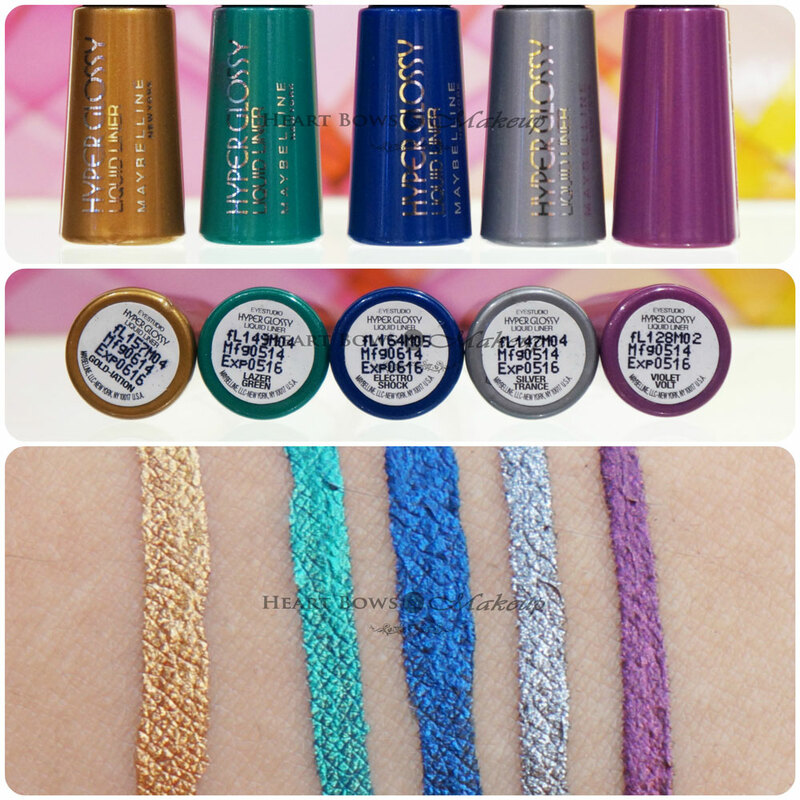 Today I have all the Maybelline Hyper Glossy Electrics Eyeliner Swatches for you guys. Get the dazzling and dramatic eyes with Maybelline Hyper Glossy Electrics Eyeliner. This highly intense electrifying eyeliner makes your eye stand out. Maybelline Hyper Glossy Eyeliner will allow you to style your eyes the way you like. 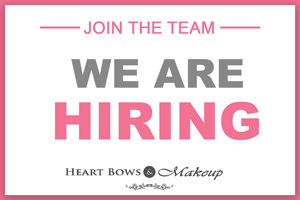 It is smudge free eyeliner and dried in 10 seconds. 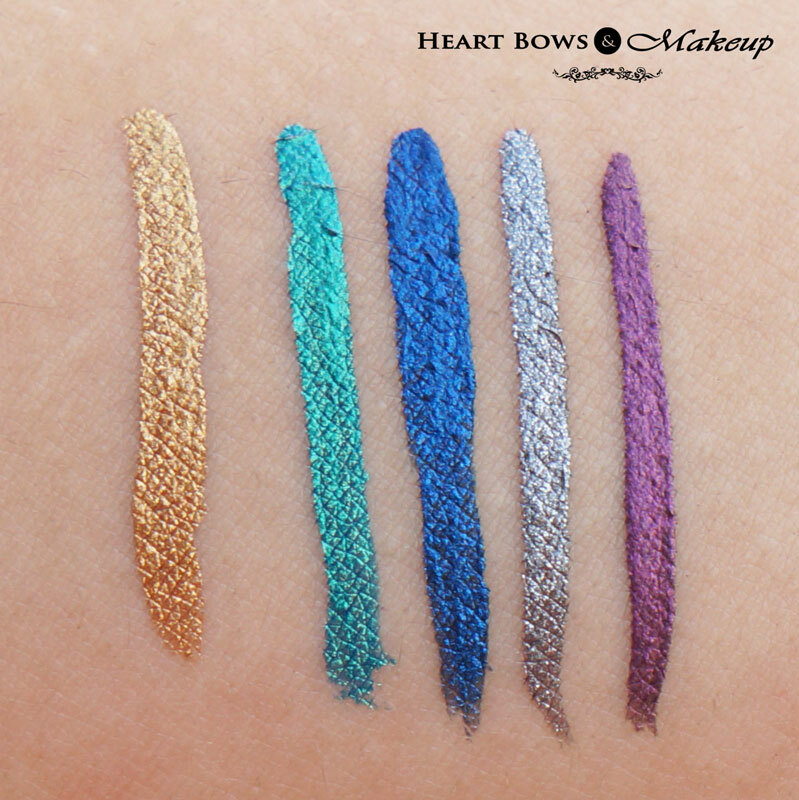 The eyeliner is highly pigmented to give your eyes an intense shiny look. This applicator allows you to control the thickness of the eyeliner. It stays for up to 24 hours. Just one sweep is enough to create the dazzling eyes. Maybelline Hyper Glossy Electrics Gold-iation Eyeliner Swatch: A jewel toned gold liner which is very well pigmented, more than the Lakme Absolute Eyeliner in Gold that I have used previously. Maybelline Hyper Glossy Electrics Silver Trance Eyeliner Swatch: A pretty metallic silver eyeliner. Will look beautiful as a double eyeliner when paired with black. Perfect for the festive season!